Five months ago, I bought my first ultra-wide lens — the Nikon 14-24mm f/2.8 — after holding out for years. I’ve always flirted with the idea of such a crazy perspective, but I kept finding reasons not to purchase one myself. A 24mm lens had worked well as my widest angle for years, and I rarely found myself wanting anything more. Now that I’ve seen the other side, though, have my attitudes changed? After going on two major trips with the 14-24mm f/2.8, the insane perspective has started to grow on me, but I still have plenty of reservations. Here’s how I’d sum things up, including my recommendations for anyone else considering making such a leap for themselves. When I went to Escalante National Monument, Zion National Park, and Death Valley National Park over the Spring, I found myself in some of the most awe-inspiring landscapes I’ve ever captured. The crazy slot canyons and sand dunes almost begged for an over-the-top perspective, and 14mm obliged. Checking my photo stats in Lightroom, I took 992 total photos during that trip — 606 of which were from the 14-24mm, and 301 of which were taken at 14mm. That’s not inherently good or bad, but it shows how addictive the 14mm focal length can be, even for someone who never really wanted that perspective beforehand. Still, the keeper ratio isn’t what you may expect. On that trip, I got three photos that were good enough to put on my website (which is pretty typical). How many were taken with the 14-24mm, though? One, at 14mm. I know that this is a small sample size, but it’s still a bit worrisome. In roughly 400 photos taken with my other lenses, I ended up with two portfolio-level keepers. In roughly 600 photos taken with the 14-24mm, I got one. It is easy to use an ultra-ultra wide angle by default. But to use it successfully is a different matter. Since 14mm captures such an insanely wide angle of view, you’ll end up including all the imperfections and complexities in a photograph that, normally, should be excluded. But you don’t notice them at the time, because the siren song of 14mm is so strong. At least, that’s one way to justify it. Another explanation is that I just didn’t end up with many keepers at the slot canyons — which accounted for the vast majority of my 14mm shots — due to poor light. More than the lens, the conditions were to blame, and these numbers will even out after future travels. I don’t know which explanation is correct. To different degrees, both probably are. What I do know is that the addictiveness of the 14mm view doesn’t necessarily match the photos that it actually lets you take. I wouldn’t say that it’s a bad focal length — not at all. It is simply a typical focal length, in the sense that it provides no more or fewer keepers than other lenses would, despite its outward allure. The one exception — the one place where the 14-24mm f/2.8 really shines — is nighttime photography. Having used a 24mm lens for most of my Milky Way endeavors in the past, followed briefly by a 20mm, I didn’t know how much better things could be. But the 14mm perspective is insane for nighttime shots, and it’s something I now would find very difficult to forego in the future. Beforehand, I didn’t realize just how much of the Milky Way you end up cropping out at focal lengths that otherwise seem quite wide. But it’s one thing to capture a lot of stars in your photo, and another thing entirely to see the entire wispy band of our galaxy stretch across the frame. That’s not even considering depth of field — the other major reason why a 14mm f/2.8 works so well at night. In the past, with my 24mm f/1.4 or 20mm f/1.8, I was used to experiencing a complete lack of depth of field that blurred everything in my foreground. It’s not as though the 14mm focal length provides enough depth of field for every situation at night, but it’s a vast improvement. I can lock my lens to its widest angle, pre-focus on the stars, and shoot without worrying about blurring my foreground beyond recognition. The bottom line, though, is that this crazy perspective is fantastic for nighttime photography; it’s almost essential if the Milky Way is your favorite subject. I don’t think of myself as a primarily nighttime photographer, but it’s a capability I want to have, and the 14-24mm f/2.8 is a great tool for the job. In that sense, I’m very glad to have made the leap. Now that I’ve started using the 14-24mm lens pretty frequently, I’ve found myself occasionally defaulting to 14mm without thinking, then catching myself to ask why I used it. Other times, though, it’s been a lifesaver. 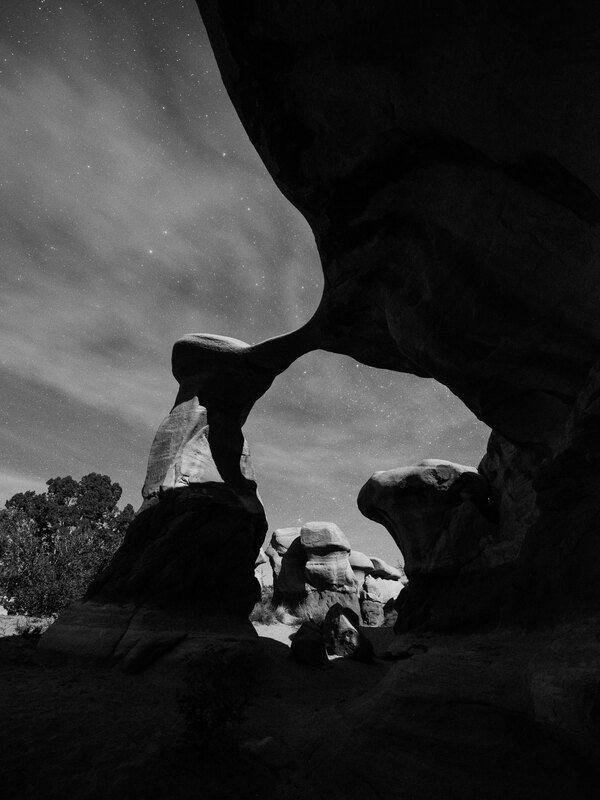 When landscape photographers talk about ultra-ultra wide lenses, they almost always do so with foregrounds in mind. There’s a good reason for that. If you want to emphasize the beauty or interest of a small element in your foreground, there is no better tool than an ultra-wide angle lens. The extreme perspective of these lenses also seems to “stretch” photos in a way that draws viewers into the frame, emphasizing dramatic lines that are present in the composition. Although a few wider lenses exist today, 14mm is more than enough to exaggerate lines and emphasize your foregrounds in a way that could not be depicted otherwise. Here’s my only problem: For my own photography, I’ve never really been interested in foregrounds as much as grand, distant landscapes Part of this, I’m sure, is due to the fact that I never had an ultra-wide lens before now; I’ve never really trained myself to look down in a beautiful landscape rather than ahead. Still, the fact remains. Now that the 14mm perspective has given me the chance to explore this type of photography, I think I’ll be a slow but steady adopter. This high-stretch perspective can quickly become a gimmick, but, used carefully, I think it has a lot of potential. I don’t like my compositions to look wild and stretched, but I do think that it’s possible to emphasize a foreground without falling victim to the insane appearance that some 14mm photos have. At the very least, I think that this perspective is growing on me; whether or not that will continue is anyone’s guess. If this sounds good to you — emphasizing foregrounds and adding dramatic lines to a beautiful landscape — an ultra-wide angle is probably a worthwhile part of your kit. For some people’s style of composition, it is fundamental. I’m not at that point yet, but many other photographers are. Depending upon the type of work you do and the subjects you focus on, an ultra-wide can be a fantastic tool, and one that I would highly recommend. I wouldn’t say that I’ve become a full-on ultra-wide convert, but I’m certainly starting to appreciate it more and more. Still, although I used 14mm for 30% of my photos at Escalante, Zion, and Death Valley, I do think that the slot canyons and nighttime photography outings made that trip a bit of an outlier. We’ll see how it goes in the future, though. To me, the most important thing is to not get caught up in the mystique of the 14mm — to make sure that the lens does not choose my compositions. With that qualification, the benefits of this field of view are pretty significant. It’s now easier to capture nighttime photos with a beautiful Milky Way, as well as emphasizing beautiful foregrounds and dramatic lines in nature. For now, that’s enough to earn the 14-24mm f/2.8 a solid place in my kit. thanks again for the article and I am midway of completing it. A Qs. propped in my head – how about 11-16mm range? What are your views on this range? Are you using a DX (aps-c) camera? If you are, multiply those numbers by 1.5, and you’ll get 16.5-24mm — so, you already know my thoughts on that range! If you’re using a full-frame camera, there is only one non-fisheye lens that covers that range, and it’s the Canon 11-24mm f/4. If that’s the lens you’re wondering about, although I haven’t used it, all the same comments apply, but even more extreme. It will exaggerate your foregrounds like crazy. thanks and actually a stupid Qs. Yes I use a APS-C sensor Nikon D7100. Loved the Milky way shot..will definitely give it a try this weekend. Not a stupid question at all, I’m sure other readers were wondering the same thing. Glad you enjoyed the article! You should be able to use the 11mm focal length on the D7100 for some good nighttime shots. Thanks for the interesting article, Spencer. I’ve owned the Nikon 14-24 mm lens for over two years, and rarely shoot with it. When I have, I’ve used it to shoot the Milky Way, which it does very well – as you pointed out – or small, dark, confined spaces, like a cave. The ultra wide angle squashes everything in, and lets more light in, yielding better detail. It can also produce some interesting and artistic portrait shots, giving the subject a humorous dimension. Distortion has to be taken into account, and fitting filters is another story…But I do love using it, when I see the opportunity. 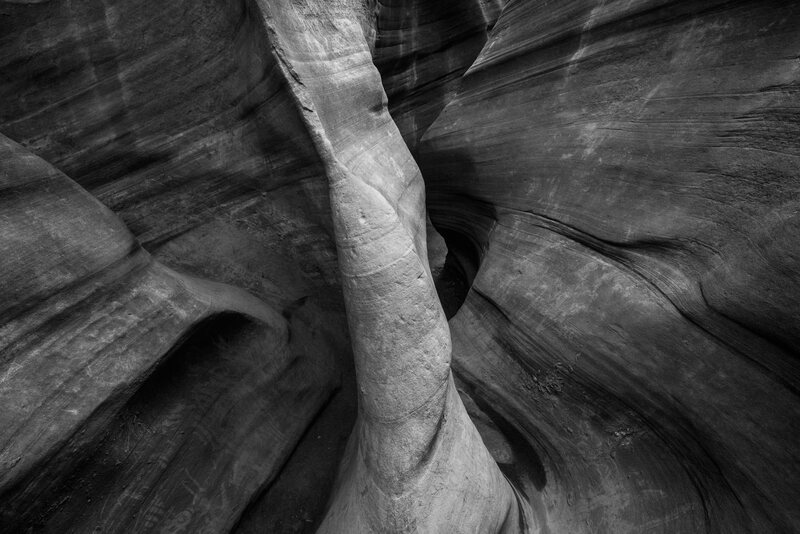 Good points, and that’s one reason I used the 14mm so much in the slot canyons — it was a really confined space that otherwise might not have been possible to photograph. Fitting filters on this lens is not practical, at least for my uses, since the filter kit takes up an insane amount of space. But I know some photographers who use it successfully. I picked up a Nikon 14mm 2.8 in April. I love it! I am using a D7200 so the width is not quite as wide but I still love it! Thanks for the article. Was much enjoyed. Glad to hear! Yes, even though it won’t be as wide on a DX camera, you’re still getting a 21mm equivalent — quite wide. Nikon makes 10-24 for the DX. It’s not Cheap. I bought one to use on a 3200 but since I go my 7200 I haven’t tried it yet It made super pictures on the the 3200. Wish I could attach a Picture. I played around with the canon EF 11-24mm f/4L USM lens on several trips. It did great job in a lot of shots, but when you had any vertical tall objects (trees)toward the outside of the view it would bend them way out of proportion. I did not buy the lens for this reason. Also you had to be careful not to let the light enter directly into the huge front glass, easier said than done. I use my EF 16–35mm f/2.8L III USM for wide shots and very pleased. Yes, subjects like trees can look pretty distorted with lenses as wide as the 11-24mm. Flare is definitely an issue I’ve seen on the 14-24mm as well; it’s very difficult to avoid in a lens design at this focal length. I have been keeping away from ultra wides due to the same reasons the author has mentioned. Reading this made me feel as if someone did this experiment on my request. Now that I have a better idea of what things to consider, I will make a learned decision on the leap. Thanks very much. Happy to hear, Vinoth, good luck on your decision. Thanks for writing this article! I’m definitely an ultra wide fanatic shooting with the same 14-24 as well as the 16-35 (w/polarizer) for years and before that the 11-16 tokina and Nikon 12-24 when I was on Dx. I absolutely love it for exactly the reasons you state the way it draws the viewer into the frame and makes everything look 3d. 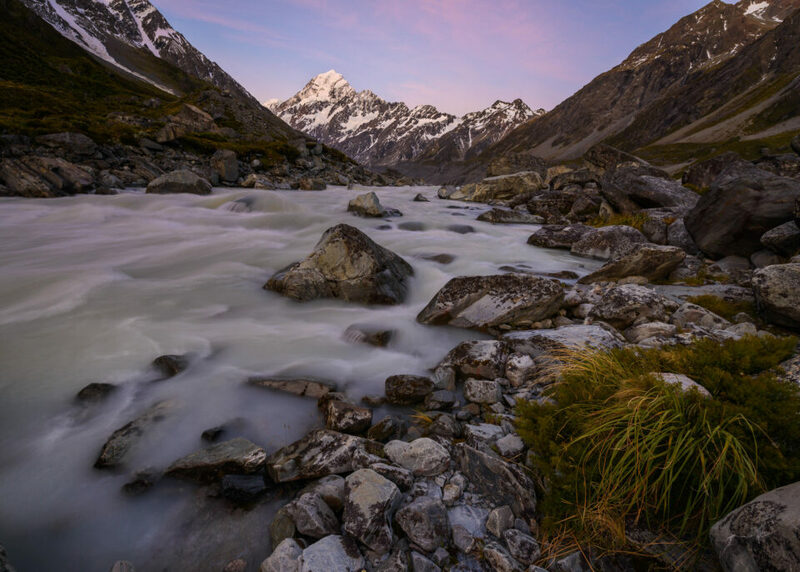 Your glacial stream photo is a perfect example great shot! But it’s always a struggle as you note to find compositions that work. You need strong foreground and it makes mountains look tiny. Keep at it. The keepers are few but I think tgey will soon be the best in your portfolio! I think that’s a good way to put it — there may not be as many keepers with an ultra-wide, but it’s still an important range to have at your disposal for certain scenes. Great article. I liked hearing what your experience was, as well as your interpretations. I’ve been using this lens for almost 4 years now, and I am still in love with it. I use it a lot for building, as well as Urbex photography. A couple of months after getting it, I recalled Dicken’s phrase “It was the best of times, it was the worst of times…”, as I realized both that while I loved using this lens, and that the possibilities were endless, that it was also one of the hardest lenses to get images that I liked from. That said, I’m still in love with it. Interesting, thanks for sharing your perspective. I’m still quite glad that I have this lens in my kit, and I’m sure that, in time, I’ll get a better sense of the scenes where it really shines. I don’t think its necessary to come back from a trip and have 100’s of winners. Often we place to much emphasis on the pure numbers an not the quality. If one photo gives an inkling of whats available then – job done – You have whet my appetite for adventure / conveyed the message. As for getting use to working with an ultra wide lens personally I have never tried, but I’m sure with some practice and a clam mind it will yield some excellent results. You did mention the Irix 15mm in your article. The Blackstone version is on my radar and tugging at my wallet. I would agree with that. On some of the best trips I’ve taken, I’ll come back with maybe 10 shots to display. Normally, the number is much smaller — two or three is common. Great article. I’d be quite curious to hear your thoughts on the technical aspects of this lens, especially given your other articles about how to find the best possible depth-of-field, sharpness and other articles you’ve written. I’ve come to other way around – I used to capture exclusively with the 14-24mm (due to not having any other lenses) until I got the D800 which nearly completely destroyed my love for my new camera: Horrendous focus-shift that is quite visible at this kind of resolution, something that just never was that apparent at all when I bought it for my D700 at the time. I have since reverted to different lenses (35mm+) though I occasionally miss the sheer extremity of the angle you could get with the 14mm. Now I only use it for such occasions, or as you put it, for night-time stars photography. Still, the focus shift can be quite a challenge, one I am still trying to get to grips with. Yes, focusing using live-view solves it, but it’s not always easy to do in complete darkness. One other aspect that I dislike about the 14-24mm is the amount of flares and other artefacts you can get into your pictures if not taking care to shield of the light from surrounding lamps (or the moon!) etc. 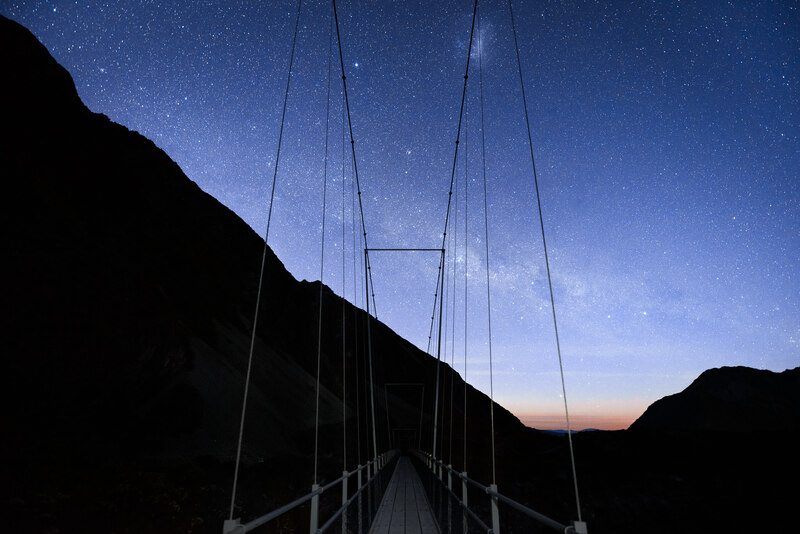 So when you do take pictures at night like for the milky way – what do you use? Do you use it wide-open (e.g. f/2.8) or do you stop it down a little? Since you own and use the 800E, I think some of the struggles I have with this particular lens would also apply to you too. I would just like to add (since I can’t edit my comment); maybe the reasons you are left with so few shots from the 14mm are of technical nature? The other issue is, as you said in your article – through the sheer angle you get on a 14mm, you often find to have various things on the photos you would normally cut out, e.g. not have on it when you capture with a more usable angle. One last issue against the 14mm – I often find that when you are at very striking locations where you would like to capture as much as possible that would make an ultra wide angle lens perfect, because of the sheer angle, those striking objects (like Mountains) become rather insignificant because they are also smaller on the frame. E.g. a very striking Mountain will not be as striking anymore on a 14mm lens. Thus, it’s crucial to include foreground objects into the composition that are close. My experience is pretty similar to yours, I’d say. The flare on this lens is pretty intense, and, more importantly (at least for a lot of photos where the sun is in the frame), the starbursts aren’t very good at all. I’m keeping my 20mm f/1.8 for these reasons, and because it takes filters much more easily. I don’t want to carry around a massive filter kit in addition to the one I already have. As for sharpness at night, I’ve been finding f/2.8 to be acceptable. It’s not amazing in the corners, but I don’t want to stop down to f/3.5 or f/4, since I’m already shooting at pretty high ISO values. It’s a balancing act, and there’s no perfect answer — either accept more noise and lower dynamic range, or lose some corner sharpness. Really, it’s just an impressive lens from the fact that it offers such an extreme zoom range at such a wide aperture, and it’s not mush at f/2.8 (and only gets better at smaller apertures). It’s still the widest f/2.8 zoom offered by any manufacturer, to my knowledge, which opens up a lot of photographic opportunities. That’s the main reason why I got it — and I’m glad I did — but you’re right that it won’t deliver the same image quality as 35mm+ lenses. Very great start with the gold standard lens for ultra wide angle lenses you did the best pick. and married with the NIKON D800E same as a Sony A7r. When I went full frame and found a Voigtlander 12mm f/5.6 for just $300, I just jumped (using a Sony A7s). You are right it takes a lot to learn how to frame. First it is not about getting it all in, these lenses I call the “peripheral vision” capture if you hold your hands out to your side till you see them that is what will be in the frame. But the center object/s are very far away, you can stand camera level 10 to 20 yards away from a 100 foot tree and get it all in in landscape view (with a lot of ground also). You can do a landscape at 35mm, 50mm then 12mm or 14mm and unless you knew the difference the basic same shot. If you want the Milky Way not at 35mm with dark horse nebula being the subject but say a barn, tall driftwood, a valley with a river with a galactic spiral from side to side over a subject without doing a panoramic then YOUR 14mm is gold but also it is good for a February to April two layer panoramic shot for that rainbow look over a subject also!! But you will find in many lenses like the Rokinon 14mm a lot of coma (dove stars and trailing) just rise your f/# to 5.6 and lower your shutter to below 30 seconds. I now use the Voigtlander 10mm f/5.6 no distortion at all and a 50 second capture with little or no star trailing (extra light not being f/2.8). Next have you ever gone Spelunking (cave touring), they do not allow tripods in most caves, well lit and many for a season of the year. I did one with my 10mm (no IS or AF) but have done many with my SEL1018 f/4 at 12mm in full frame mode (IS /AF) you will not need the f/2.8 but no matter ultra wides focused at infinity will be sharp both near and far. Or say a tour or shots in old/new houses, just remember to shoot corner to corner but watch fans and lights over head they may appear to go left or right and doors close to you will be extra wide (now I know why 35mm to 50mm panoramics are done by the pros.) but always great for those indoor tours. The nice thing most post processing programs have lens corrections already, I had the Rokinon 14mm a year before Lightroom had it (could not do horizons in landscapes). Your Nikon 14-24mm and Voigtlander lenses almost perfect no corrections needed and no coma (unless pixel pepping). If you want to or can get close to a subject with a wonderful clear background to include in a capture wides are great, but you have to resist that feeling to get it all in. And if you look at night shots using f/2.8 lenses most are at f/8 but you get more starry lights. I also watch those other lenses but Sony just came out with the 12-24mm f/4 time to retire my SEL1018. Yes, it is quite a good lens, and it works very well on the D800e. I have to say that I have not been spelunking, but I can imagine that it would work well for that sort of photography! And yes, it’s definitely great for nighttime landscapes. As I told Phil above, it’s not a perfect lens, but it opens up a lot of photographic opportunities. As a whole, I’m a fan. Hi Spencer, thanks for the article. Nice like always. Now I doubt about a wide angle zoom or a fixed 20mm lens. How is your experience using a 20mm prime compared to a zoom lens? For me 14mm is a bit too extreme but I like the range 18-24mm. Zoom is versatile but tends to make me lazy and the lens is very bulky, a lightweight prime is very pleasant but might be a bit limiting. A 20mm is tiny, light, easy to handle (compared to). But: The 14-24mm f/2.8 is a miracle lens. It is so sharp (already at f/2.8), you’ll love that. I use this lens mainly inside buildings or for architecture. If you do not know yet, get a used 20mm f/2.8 AI-S for around 300$. Or get the 20mm f/1.8 ( photographylife.com/revie…m-f1-8g-ed ). I have the Nikon 17-35mm f/2.8 as well. I use it much more often than the 14-24mm f/2.8 although the corners are never that sharp as they are with the 14-24mm f/2.8. But it takes standard 77mm filters, is smaller and reaches out to 35mm. My brother bought the Tamron 15-30mm f/2.8. It is a great lens, super sharp, but even bulkier and heavier than the 14-24mm f/2.8. It is much cheaper. I personally stick to Nikon. Hello Jan Holler (sounds like a Fitch name). Thanks for your answer, I do appreciate. Now In am leaning towards the 18-35g lens. For Landscapes i do not really need 2.8 and this lens should be even a bit better than the the 16-35mm ( I do not card about the vr). The tamron could be an other choice but because I like to take evening/night shots in town i am a bit scared for the flare (same with the 14-24mm). I do like the brighter viewvfinder of 2.8 of 1.8 Lenses especially in the night. If I may add one more item, the use of filters! If using a polarizer it will give you different tones across the sky if used in daylight. To be useful you need to be at a 90 degree angle from the sun but your coverage is so much wider just use the free Nik Color Efex pro one. But if doing Astro Milky Way’s there is a filter the Hoya Red Intensifier to reduce yellow/orange city ground lights (I use on my SEL1018 at 12mm Full Frame) that works real good if shooting along coastal areas where amber lights are used to for turtle hatchlings to go to sea not land. It will also bring out the Milky Way colors (temp 3890). Most lenses due to very round outer lens you can not use UNLESS you have one of those new filter holders for non removable tulips on wide lenses. A new filter for Astro Milky Way is the PureNight from LonelySpeck www.lonelyspeck.com/purenight/. Wide angles love the starry night sky and Moon scapes BUT city lights are the hardest to deal with and better dealt with upon capture not post. Good article, I enjoyed it. Not least because I’m in the same boat with my Tamron 15-30 for my D750. 15 (or 14) mm is fascinating to play with, but you’re right, I have fewer keepers than I’d hoped when using it in the field. Time to get low and use that foreground! Very good article. I bought Sigma 10-20 f3.5 for my D7200 and really enjoy using it. I have since gotten a D700 and now want an Ultra Wide zoom for it. Budget keeps me from the 14-24 but I am looking at the Tamron 16-28. I really enjoy the perspective of the ultra wide lens. I meant Tokina rather than Tamron. I purchased my Nikon 14-24mm f2.8 way back in 2010. Great lens . Prior to that, my widest lens had been a Nikon 20mm f2.8 . I really like the Nikon 14-24. That 14mm focal length has enabled me to take photos in places , where, zooming with my feet was not an option. I also have the latest Lucroit filter holder for it. So far, I have only purchased one filter for it. A 165mm x 200mm 2 stop soft edge graduated filter. Definitely my favorite lens for architecture, especially interiors. The 14mm end is addictive, as you say. The 14-24mm gives you the versatility to capture any wide-angle shot with excellent quality. Interesting perspective, Spencer, thanks for posting. I use an 11-16mm on aps-c and share many of your pro’s and contra’s. A question: that image of the slot canyon with the central highlighted rock really grasped my attention – it’s as 3D as any photo can possibly get! Did you perhaps selectively lower the contrast/clarity on the more “shadowed” rocks to guide the eye (esp. some regions on the left) or is that just a play of dof? I found myself in the same situation, I feel comfortable with down to 20mm if I take time to compose, 14mm seems quicker, but (for me) is a dual edge knife, what I see in the ovf normally is better than the final result. I don’t mean that what you see is different that what you get, I mean than in a hurry lot of details were overlooked. In other words a 14mm needs extreme care composing in order to get a keeper, it doesn’t forgive so easily. Thank you for sharing these stunning milky way pictures. It never occurred to me I could use my 14-24 for this kind of stuff – I tried 24/1.4, 20/1.4 and am looking forward to the 14/1.8 of Sigma. The lens which beats the 14-24 (at least on Nikon) is Sigmas 12-24/4 Art. As good as the 14-24, just without the tremendous flares in backlight conditions. The 14-24 has rather too much distortion at 14mm but it’s a great lens for the night sky due to it’s low coma. The best super-wide lens IMO is Nikon’s DX 10.5mm fisheye, which might sound silly but I have both lenses. The 10.5 was almost permanently on my D200 for over a year, the 14-24 comes out at night and not too often. The 10.5 straightens really well with Rectfish, only loosing a bit at the corners. It’s also amazingly sharp with low flare even with the sun in shot; and it has a fabulous dof..
I’ver never had satisfactory straightening of images taken with the 14-24 and flare is diabolical. But as always it’s not what lens you use but how and when you use it and to that end the 14-24’s keepers have all been of the night sky; and the 10.5’s keepers have ranged from portrait through still-life to landscape, but the key is to keep it horizontal and use a good defishing app. .
I’ve owned the 14-24/2.8 since it came out. However, now that I’ve switched back to primes, ùy super-wide is the Zeiss Distagon 15mm f/2.8, which performs at least as well, and in most cases better, than the Nikkor zoom —AND it takes filters. I was surprised not to see it in your list of lenses… I have not done night photography so far but I intend to look into it this season, and the Distagon will certainly be put to good use. The next shortest primes I have are the 19/4 PC, which is stellar (no pun intended) but will suffer from not being fast enough, and then the 24/1.4 Nikkor. There is mixed advice on the internet as to the best focal length for Milky Way photography, and the widest lens is not always favored over the fastest… I hope to try both the 15 and the 24. I’m a news shooter (not even full-time) and I shudder at the idea of using this lens because of the very large, exposed, bulbous front element. I handled this lens for the first time just a few days ago and, quite honestly, was pretty floored at the size/weight. Although I know that the lens is very popular with all sorts of shooters….man, I just can’t see how that front element could stay unscathed in everyday, hurried handling. Bought a 14-24 some weeks ago and I´m really fascinated not only by the wide perspective (a friend said take care not to get your shoetzips into the Picture) but also with the enormous depth of field. You even can take Close-up´s of flowers (not really Close, but a Group of flowers) with all the Background within the depth of field thus resulting in better Pictures than with the 60 mm macro. Spencer, I really like the article but don’t agree with conclusion 100%. If i’m shooting landscapes, nikon 14-24 is on my camera more than 90% of the time and yields amazing results. I agree there is additional work to bring it far objects to scale but as long as you are ready to focal length blend it’s worth it. Just curious; what landscapes were you shooting with the other lenses? I’ve been lured by the siren songs as well. I’ve been experimenting with the Nikon AF-S 16-35mm f/4G ED VR lens. Has anyone had any experience/fortune with using this lens for astrophotography, or can I expect the f/4 to be problematical? Hey Brent, sorry for the slow response. At the Mesquite Sand Dunes in Death Valley, I used a 70-200mm and a 35mm pretty extensively. That was the main example, but I also used the 70-200 from time to time in Zion to photograph some green tree leaves against the red rock background. Nice topic, thanks for the article. The widest angle I can use is 24mm (on a D7200), and I find myself turning the ring to it very often, trying to get as much as possible within the shot. However, to the technical aspect… and this may not be an issue for the Nikon 14-24mm, but it certainly is for the Tamron 24-70mm – the lens is just not the best at its extremes. It can take really nice and sharp images, but widest aperture, widest (or longest) zoom simply don’t bring the best results. For this reason, I’m thiking of getting a wide prime for landscape purposes. Would that be a good idea? Or would you say, based on the canyon tour, that it would be too much of a limitation to go on a landscape tour with a fixed lens?